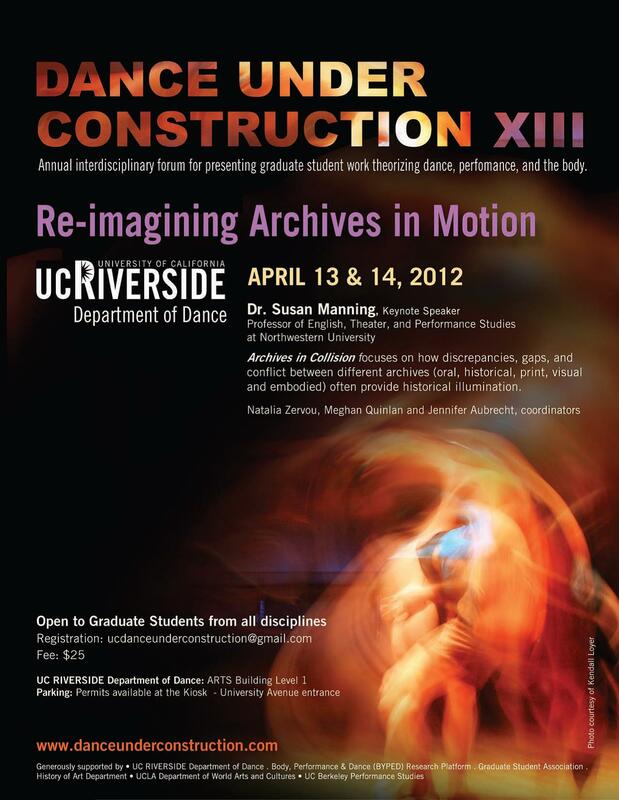 Co-chair of the organizing committee 2012 DUC (Dance Under Construction) Graduate Student Conference. Department of Dance - University of California, Riverside, USA. Treasurer Dance GSA (Graduate Student Association), Department of Dance - University of California, Riverside, USA. Lead Proceedings Editor: CORD/SDHS Joint Conference Proceedings 2016. Lead Proceedings Editor: CORD/SDHS Joint Conference Proceedings 2015. Chair of the Performances Selection Committee / Member of the Local Arrangements Committee: CORD/SDHS 2015 International Conference in Athens, Greece. Conference Proceedings co-editor: CORD/SDHS November 2013 annual Conference Mission Inn, Riverside CA, USA. Reviewer: CORD Special Topics Conference 2012 submissions. University of California, Los Angeles, USA.